Before moving out west, Bradford enjoyed a very successful theater career. A native of the Lakes Region of New Hampshire, and graduate of New York University's Tisch School of the Arts, he had an award-winning stretch of work that included both musicals and dramas. Playing opposite John Glover(see photo gallery), Anderson earned a Philly Award for Best Supporting Actor, as well as being nominated for a Barrymore Award in the same category, for his performance as Billy in Edward Albee's "The Goat...Or Who Is Sylvia?" at Philadelphia Theater Company. He then went on to reprise that role at Arena Stage In Washington D.C. to rave reviews. 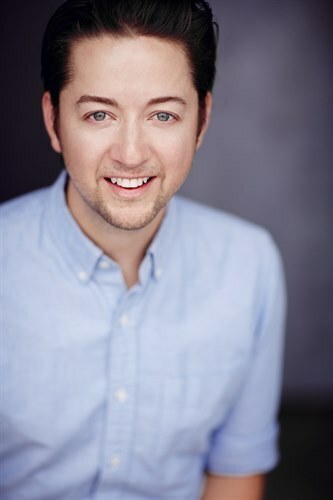 Bradford's musical experience includes playing the lead role of Valentine in the Goodspeed Opera House's revival of "Babes In Arms" and Arpad in "She Loves Me" at Papermill Playhouse, among others. In Los Angeles, Bradford experienced immediate success, booking a guest star spot in only his second week.